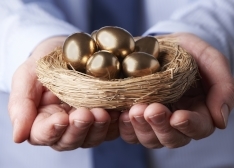 New figures indicate an uptick in gold exchange traded funds, and SMSF and retail investors alike continue their flock to defensive assets amidst market volatility. Australia’s exchange traded product (ETP) industry experienced negative outflows of funds in June 2016 for first time this year according to ASX monthly ETP data, reflecting Australian investors’ risk aversion. Despite this, the industry attracted a total of A$1.2 billion for the six months to 30 June 2016 (YTD) reaching A$22.4 billion. Specifically, gold bullion and gold miners ETFs attracted A$33 million YTD and $19 million in June, which reflects investors’ appetite for the “safe haven asset,” according to VanEck. “The gold price surged to its highest level in two years [this week] to $US1,368 per ounce, indicating that it could be at the beginning of a new bull market. Gold thrives on financial risks and investors are generally feeling uncertain about the world economy,” said Arian Neiron, Managing Director, VanEck Australia. “It isn’t just Brexit, but investors are generally feeling cautious because the Fed is unable to normalise interest rates, there is an anticipated RBA rate cut on the horizon, most likely in August, and there are many geo-political risks in the northern hemisphere. All these factors are further supporting investment into gold as a currency hedge and as a way to protect their wealth,” he added.